Greg Raines, Tunnel Practice Leader, brings nearly 30 years of global expertise in tunnels and underground structures. He actively participates in the U.S. and International Tunneling Associations. Randy Essex is Executive Vice President and Director of Professional Excellence and Practices for Mott MacDonald in North America. He has 38 years of tunnel engineering experience and earned two master’s degrees from the University of California – Berkeley. He has provided geotechnical, design and construction engineering services for more than 170 tunnel projects across North America and overseas. An author of more than 45 publications, book chapters and articles, he led the development of ASCE’s “Gold Book” publication “Geotechnical Baseline Reports for Construction.” Essex is a past Chairman of Underground Technology Research Council and is the U.S. Representative to the International Tunneling Association. He is a recipient of the prestigious Golden Beaver Award for Engineering. This presentation explores the current trends in tunneling procurement and delivery being used across the Americas. This includes a comparison between conventional and alternative delivery methods as they have been applied to tunnel projects in transportation and water/wastewater. The paper will illustrate methods such as design-build, progressive/modified design build, construction management at risk and public-private partnerships and how alternative delivery methods have been successfully used and challenges faced as they are applied to a wide range of tunnel projects across the USA. As COWI Senior Vice President of Tunneling, Steven Kramer oversees the operation, growth and development of the tunneling and trenchless practice in transportation, water and energy. 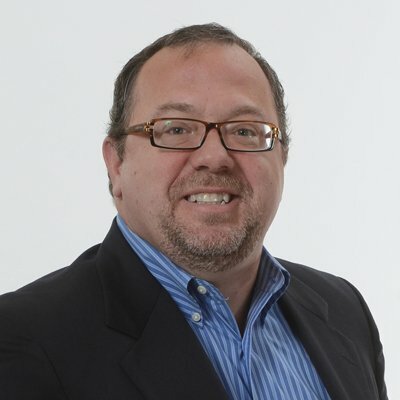 Steve has 30 years of experience in engineering firms serving the infrastructure industry. He is recognized as a leader in the underground and trenchless industry. Steve led the design, management and construction of over 50 underground projects ranging in construction values up to $775 million. A frequent speaker and active participant at industry conferences and in technical societies, Kramer has published 100 technical and management papers. He holds two B.S. degrees from Washington University in St. Louis – Civil Engineering and Engineering & Public Policy and a Masters in Management from Northwestern University in Evanston, Illinois. A formal risk management process is widely implemented in our industry and this process is acknowledged as being a benefit to projects. However, risk management has descended to the level of a box-checking exercise for some projects. This session will present a framework of the basic needs and tools for project risk management. it will go on to provide tips for re-energizing and engaging the project team to get the maximum benefits from these processes, both for the project and for all project participants. Robert Goodfellow is a Senior Vice President for Aldea Services LLC. He is a licensed professional engineer in over a dozen US states. Mr. Goodfellow has over 25 years of experience in the tunneling industry and he currently serves on the Executive Committee for the American Underground Construction Association (UCA of SME) where he is currently the Vice Chair. He is co-author of the US tunnel industry guidelines for risk management on tunnel projects. Intelligent Tunnel Design – Gary Brierley | Dr. Mole Inc.
Dr. Brierley will discuss a nine-step process that is required in order to produce good designs and good contract documents for tunneling projects. In general, tunneling projects are radically different as compared to all other types of civil engineering projects because 100% of a tunnel comes into contact with the ground and because 75% of the risks associated with a tunneling project are related to construction procedures rather than the finished facility. As a result of the above, an enormous amount of thought must be given both to how the ground is “described” and to how the ground will “react” to proposed construction procedures, and, finally, to how the ground is “indicated” in the contract document via the Geotechnical Data and Baseline Reports. It is also important to note that the contract document must paint a “consistent” picture of construction procedures among the geotechnical documents and the plans and specifications. President | Dr. Mole Inc.
Dr. Brierley has more than 48 years of experience with both the technical and nontechnical aspects of underground engineering and construction management. From the technical perspective, Dr. Brierley began his career with the Bachelor of Science degree in Engineering from Tufts University in 1968 and the Master’s and Doctor’s degrees from the University of Illinois in 1970 and 1975, respectively. Beginning as a project manager in 1970, Dr. Brierley has worked on literally hundreds of projects involving all types of underground design and construction including soil and rock engineering, building foundations, braced excavations, ground improvement and slope stability. Beginning in the 1970’s, Dr. Brierley concentrated on the design and construction of underground projects by managing the instrumentation program for Dupont Circle Subway Station in Washington, D.C. This assignment formed the basis for his doctoral dissertation which addressed the structural performance of large, shallow underground openings in rock. Since that time he has worked on more than 500 major soil and rock tunneling projects involving design, construction management and consultation for owners, contractors, engineers, public agencies, and attorneys. Factors that make tunneling difficult are generally related to instability, which inhibits timely placement or maintenance of adequate support at or behind the tunnel face; heavy loading from the ground which creates problems of design as well as installation of a suitable support system; natural and man-made obstacles or constraints; and physical conditions which make the work place untenable unless they can be modified. In many cases special approaches or arrangements must be made to safely and efficiently excavate and stabilize the tunnel as it passes through this “Difficult Ground”. In this lecture, emphasis will be placed on creating and maintaining stable tunnel excavation in ground in TBM and SEM construction. Examples projects such as Chinatown Station in San Francisco, Istanbul Strait Crossing, and Alaskan Way tunnel will be used to illustrate the challenges. Nasri Munfah is responsible for developing and implementing long term profitable strategic growth plan to advance the firm’s tunneling practice nationally and globally. He oversees the firm’s tunneling and underground projects and he provides leadership in project pursuit and delivery. 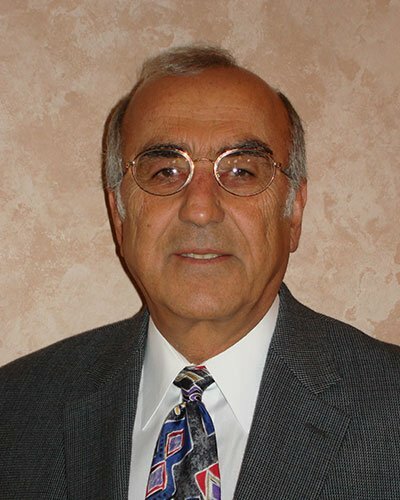 Munfah has over 30 years of unparalleled project management experience in transportation, transit and underground engineering and is a principal investigator and a co-author of the Federal Highway Administration Technical Manual for Design and Construction of Road Tunnels —Civil Elements. Vice President | Stantec Consulting Services, Inc.
Don Del Nero is a Vice President with Stantec Consulting Services, Inc. and the Global Tunneling and Trenchless Practice Leader. He has 28 years of experience including over 50 miles of underground projects. 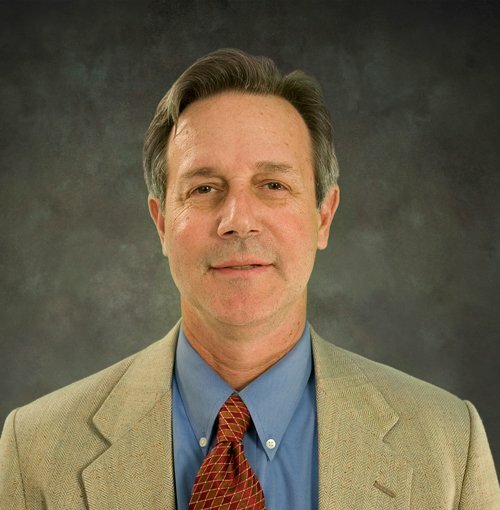 He is also on the Board of Directors for the North American Society for Trenchless Technology, has authored over 40 articles on strategic issues relating to the tunnel industry, and frequently participates in industry forums and on industry panels including the recent panel on improving design documents at the 2017 No Dig Show. Don also has the privilege of the recent appointment as the 2018 No Dig Show Program Chair. After a brief introduction of what Construction Management is, and the forms it takes, Roger will discuss the role of Construction Managers on tunneling contracts. He will give a number of examples of how CMs can add value , provide expertise to the Owner and minimize contractual disputes at all stages of a project, while encouraging innovation and actively managing risk. Roger Mitchell is a Construction Manager with Jacobs. He is a chartered Civil Engineer, Fellow of the Institution of Civil Engineers, a Professional Engineer in Nevada, a Certified Construction Manager and an Accredited Construction Mediator. He is also a member of ASCE, and of UCA of SME. A graduate of Sheffield City Polytechnic in the UK, he worked for specialist structural and foundation contractors for 20 years in the UK and Hong Kong before moving to Singapore as the Engineering Manager with a design-build joint venture constructing two stations and EPB bored tunnels on the North East Line metro system. Since then he has worked on projects in the United States, UK and Qatar. He is now Supervising Resident Engineer for the forthcoming Ship Canal Water Quality Project in Seattle. 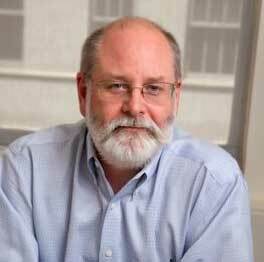 For more than three decades, Bob Fitzgerald has been engaged in a construction contract legal practice focusing primarily on the preparation and negotiation of prime and subcontract documents along with the resolution of claims for additional time and money under both public and private construction contracts. His practice is international in scope and has provided him with the opportunity to work with both the private construction industry and federal, state and local government entities engaged in public construction contracting. While Fitzgerald has been retained to represent contractors in virtually all areas of the construction industry, he has developed a particular expertise in heavy construction contract disputes relating to dams, canals, power plants, water and sewage treatment plants and machine mined tunnels. His various legal credentials include the unique, practical experience of residing for a full year on a construction jobsite while analyzing and preparing major claim proposals. NATM Design and Construction” introduces the tunnel design principles for the application of the Sequential Excavation Method (SEM). The presentation addresses the main aspects of SEM tunneling including: Ground Classification, Definition of SEM Excavation and Support Classes, Ground Support Elements, Structural Design, Instrumentation and Monitoring, Contractual Aspects, and Risk Management. Selected case histories are provided to demonstrate the range of applications ranging from shallow soft ground tunneling in urban settings to tunneling in rock. Hard Rock TBMs – Levent Ozdemir, Ozdemir & Assoc. This presentation gives the practical aspects of designing and construction and underground lake tap. Multiple examples will be presented. Mr. Sherry is a principal and cofounder of Brierley Associates . He has over 40 years of progressive experience relating to the design and construction of civil engineering projects including dams, water projects, tunnels, transportation projects, railways, pipelines, and canals. In addition, he has been involved with the remedial assessment and design for hazardous and solid waste sites. His experience includes over nine years of resident engineering, construction management, and contract administration on large engineering projects. Mr. Sherry also has had considerable management experience serving as a resident engineer, design manager, and managing a department for a large consulting firm and government agency. He has participated in all phases of underground, tunnel, and trenchless technology engineering. His experience ranges from conceptual engineering and consulting to design to resident engineering or resident construction management to claims assistance and expert testimony. He also has given numerous presentations on tunnel construction and taught short courses at tunneling conferences on lining design and project management. Earth Pressure Balance Machines – Levent Ozdemir, Ozdemir & Assoc. Overview of tunnel lining design principles. Review empirical, analytical and numerical modeling techniques for load determination. Describe design considerations including excavation methodology, groundwater conditions, and settlement criteria in terms of impacts to overlying structures (streets and utilities). Present initial support and final lining systems as well as pre-support techniques for soft ground and hard rock tunnels. Some case studies will be shared. Eric is an Associate Vice President and Principal Tunnel Engineer in HNTB’s National Tunnel Practice. He is a licensed professional engineer in six states. Over the past 29 years, Eric has worked for tunnel contractors (6-years) and engineering consultants for more than 23 years on projects such as Ohio-River Bridges East End Crossing Tunnels, Port of Miami Tunnel, No. 7 Subway Line Extension, and East Side Access project. He currently serves on ASCE Geo-Institute’s Underground Engineering and Construction Technical Committee, and has been actively involved in the tunneling industry as conference session chair, guest speaker and author of more than 20 technical papers and articles on tunnel design and construction challenges. Design evolution of the segmental liner for SR 99 Tunnel in Seattle, USA, one of the world’s largest bored tunnels. The 57.5-foot diameter, 9,300-foot-long-tunnel under Seattle reached depths of 215 feet in an active seismic region. The presentation focuses on the evolution of the SR 99 tunnel single-pass liner from conceptual through final designs, and describes several influencing factors on lining design including alignment, traffic flow, fire life safety, seismic safety, constructability, and the impact of interior structures as well as other geo-structural challenges. Gordon Clark is a Vice President and Technical Director of Tunnels and Complex Underground Structures for HNTB Corporation. Before joining HNTB, Gordon worked for Parsons Brinckerhoff for 32 years. Gordon has served as project manager, engineering manager and structural designer for underground transit stations, tunnels and shafts, highways tunnels and rail systems in the United States, Central America, Southeast Asia and the Middle East. Recent projects include his role as project manager on the Eurasia Tunnel in Istanbul, Turkey, and Infrastructure Design Manager for the California High Speed Rail program. He also served as chief engineer of the SR99 Tunnel project during 8 years of design development, preliminary design, and preparation of tender documents. Gordon is a member of the UCA, ASCE, and SME. He received a BS in Civil Engineering from Oregon State University and a MS in Engineering from the University of Texas at Austin and is a licensed professional engineer in several states. A unique perspective of state-of-the-art practices for design, construction, operation, and maintenance of deep tunnels for water, wastewater, combined sewer conveyance and with a goal to achieve the most efficient, resilient, and future-ready systems. This presentation touches upon innovations in the planning, hydraulic modeling, deep tunnels and lining systems, large reservoirs, diversion and drop structures, operational and maintenance strategies and associated hydraulic and mechanical control systems such as pump stations, gates, valves and instrumentation and monitoring components with examples of systems both in design and operations. 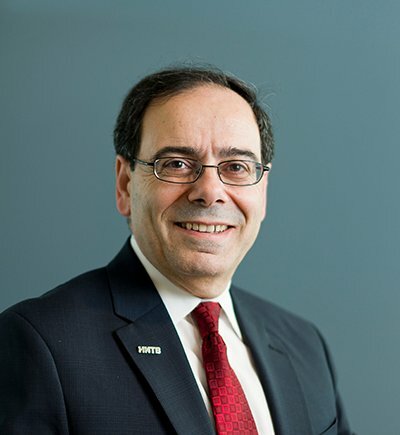 Faruk Oksuz, P.E., is a vice president and global business and technology director with Black & Veatch Water Division, Infrastructure Systems. He has 30 years of experience that covers a wide range of conveyance, storage, flood control and hydropower infrastructure systems with large tunnels, dams, canals, reservoirs, penstocks, pipelines, pump stations, and gates. His tunneling experience covers more than 300 miles of large tunnels worldwide for conveyance, storage, physics, and transportation purposes. Some of his projects include Chicago’s Tunnel and Reservoir Plan (TARP), Phase 2 of Singapore’s Deep Tunnel Sewerage System (DTSS), Indianapolis Deep Tunnels, Dallas Mill Creek Tunnel, Peoples Gas Company’s Tunnel Remediation Program, TVA’s Boone Dam, San Diego’s San Vicente Dam Raise, City of Austin’s Jollyville Tunnel, Cincinnati’s Lower Mill Creek, and Milwaukee’s Northwest Side tunnels. This presentation will introduce the state-of-the-art practices in today’s tunnel instrumentation and settlement monitoring, covering both classical geotechnical instruments as well as newer technologies such as AMTS and satellite radar interferometry through case studies. New advancements in sensor design, wireless communication and data presentation will also be discussed. Dr. Zhangwei Ning is a geotechnical instrumentation and monitoring expert and the technical manager with Sixense Group, USA. His diverse academic and industry experience provides him with a multi-scale perspective in observing and studying soil behaviors: from microscale soil particle motions to macroscale massive ground movements in urban and natural environments. Since joining Sixense in 2013, he has participated in a wide range of complex projects, including: tunnel, deep excavation, bridge, dam, landfill, natural slope, etc. He is the member of DFI testing & evaluation technical committee, leading a task force of developing instrumentation and monitoring short courses. Whether for utilities or traffic, tunnels require communication solutions. These solutions can be implemented during the tunnel construction stage and during the operational stage. Leaky Feeder, Wi-Fi, LTE, Wireless Portable Solutions or Mine phones are the most common communication systems for tunnel projects. Understanding the pros and cons thereof is essential to know which one is more convenient for your tunnel project. Solutions for tunnels classified as Class 1, Division 1 and Class 1, Division 2 will also be discussed. The most common owners’ requirements regarding tunnel communications will be given. Being familiar with modern technologies will help contractors to include accurate quotes in their biddings and to meet all the project requirements. Communication systems may include personnel and vehicle tracking, tunnel access control, environmental monitoring, emergency alert systems, access to the internet, smartphones, TBM data, etc. Recommendations for underground voice communication systems and data networks will be provided. Guido Perez is the Business Development Manager – Tunneling for MST Global. He is a trusted advisor with a reputation for working with owners, engineers and consultants to develop both standard and specialty solutions. He helps companies to become future-focused by analyzing the investment in modern technology. He has an innovative, creative and growth mindset, with the primary goal to pursue the most cost-effective resolution to the challenge at hand. He gained vast experience in construction and project management, leading teams of up to 120 people on underground international projects. His educational background includes a Master of Business Administration, a M.S. in Industrial Engineering and a B.S. in Mechanical Engineering. The presentation will introduce and explain the Deep Soil Mixing technique. Case histories will be used to illustrate potential applications, overcome challenges, and mitigate risks on tunnel projects. Alan Ringen is a Senior Vice President with JAFEC USA Inc. in San Jose, California. He received a BS in Civil Engineering from MIT and is a registered Professional Engineer in California. He has over 35 years of experience in the engineering, management and construction of geotechnical projects with particular emphasis on deep soil mixing and ground improvement. Glenn Boyce is a Principal and supervising tunnel and geotechnical engineer With McMillen Jacobs Associates with 34 years of experience. He is licensed in six states and Hong Kong. This extensive experience covers virtually every aspect of trenchless, tunnel, shaft, and geotechnical engineering. Serving as an engineer, lead engineer, project manager, or technical reviewer, Glenn has been involved in over 110 trenchless, tunneling, and shaft projects. In 2009, Glenn was named “Trenchless Person of Year” and in 2017 is receiving the Stephen D. Bechtel Pipeline Engineering Award. Glenn is based out of McMillen Jacobs’ Walnut Creek, California office. The SR99 bored tunnel will replace the double-deck Alaskan Way Viaduct in Seattle, WA. Bertha, at 57.3-ft in diameter, was the world’s largest EPB-TBM at time of launch in 2013. An access shaft was installed in front of the TBM to recover the cutter head. Access shaft design and construction overcame difficulties including buried structures, archaeological concerns, limited site access, complex geology, adverse groundwater conditions, and proximity to the adjacent viaduct that remained in service. The project required installation of deep secant piles up to 10-ft diameter, multi-stage dewatering, structural and hydraulic grouting, structural and geotechnical modeling, and real-time instrumentation. Jacob Mitchell is a licensed engineer with over 5 years of experience in geotechnical and geostructural design. His work is primarily in the field of design of earth support systems specializing in tunneling and support of excavation. He has technical knowledge in the areas of tunnel and shaft design, shoring, slope stability and foundation engineering. Mr. Mitchell has experience in design, geotechnical investigation, construction observation and inspection on a variety of projects for private and public owners primarily in the transportation and utility fields. John will be presenting an overview of the recently completed $260 million planning process for the nearly 80 miles of large-diameter tunnels that will be constructed for the California WaterFix. The presentation will include detailed information on the current plans to begin design and initial construction of all the WaterFix facilities, including the river intakes, tunnels and pumping plants. I will discuss the organization of the implementing organization that has been formed to manage the implementation of this $17 billion program. John has more than 30 years of experience in the design and construction of heavy civil water infrastructure projects. Since 2012, John has been part of the program management team charged with developing the conceptual design for the WaterFix facilities, including nearly 80 miles of large-diameter tunnels. Previously, John was program manager for the $1.1 billion Inland Feeder Program which included construction of three tunnels valued at approximately $500 million. John is a registered civil engineer in the State of California and holds a Masters of Environmental Engineering from the University of Southern California. John is active in the Underground Construction Association of SME. The Ohio Canal Interceptor Tunnel is a combined sewer overflow project being performed by the joint venture of Kenny/Obayashi V for the city of Akron, Ohio. The tunnel is being bored using a 9.2 Meter diameter Robbins Crossover EPB TBM designed to mine through three distinct geological zones. The focus will be on the TBM design for mixed ground geology, the logistics of the TBM delivery and assembly, and discuss some of the challenges encountered while mining through varying ground conditions. John Criss is a Project Engineer for Kenny Construction and is currently working on the Ohio Canal Interceptor Tunnel (OCIT) project in Akron, Ohio. Criss has over 12 years of experience working on large tunnel projects including both mixed face EPB TBMs and Slurry TBMs as well as drill-and-shoot shaft and tunnel excavation. LA Regional Connector Project – Christophe Bragard, Traylor Bros Inc. Through the Regional Connector case history (as well as a couple of other projects examples), the speaker will discuss some planning aspects, production enhancements and challenges of tunneling projects. Real case examples will highlight how safety, logistics, schedule, cost and risk can lead to engineering of unconventional construction methodologies and sequences of work. Tunnel Manager, Regional Connector Project | Traylor Brothers Inc.
Christophe is the Tunnel Manager on the Regional Connector design Build Project in Los Angeles. He has gained international experience on major tunnel construction jobs on 4 continents. He worked for the contractor on the field, for its technical department as well as for the designer which makes him well suited for design build projects. He and his team, are currently building an underground cavern in soft rock on the same project. NY Rondout Project – Grant Millener | Kiewit Construction Co. The 21.6ft diameter Single Shield Hard Rock TBM for Delaware Aqueduct Bypass Tunnel Project was assembled in a 900ft deep, 30ft diameter shaft. The total weight of the TBM and trailing gear is approximately 1,000tons with the heaviest TBM component lowered down the shaft exceeding 100tons. A custom designed shaft hoist was built to accommodate the TBM assembly and the tunnel excavation and the presentation will cover details about the hoist, the preparations made for the TBM assembly and launch of the TBM, as well as reporting on tunneling progress to date.